See less shine. Feel confident. Avon True Nutraeffects Mattifying range combines the moisturising power of Chia Seeds and Mattifying Powders that absorb excess oil from the surface of skin and eliminate the appearance of shine. 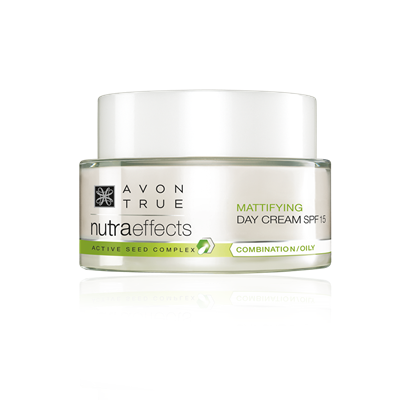 Chia seed extract and mattifying powders absorb excess oil from the surface of skin, eliminates the appearance of shine.